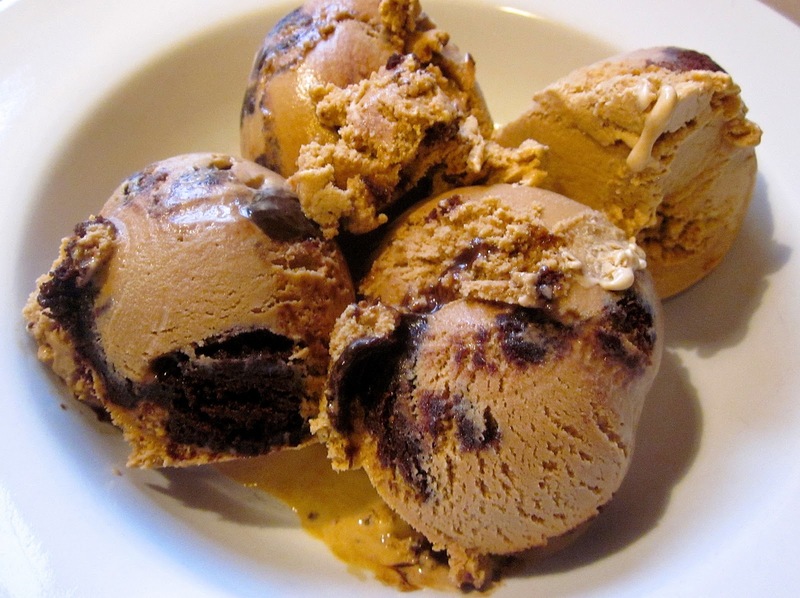 I’m going to make up for my lack of posting with something really good today, Coffee Brownie Fudge Ice Cream! I have been working on this recipe for a couple of years and finally got it just about perfect. I mixed up a batch about a month ago but some of my pics were fuzzy. As much as I didn’t want to, I had to make it again just so I could get some good pics. Yes, that’s the sacrifices you have to make when you’re a food blooger. My ice cream base is basically the same, I just tweak it a little bit each time to get the flavors I’m looking for. My secret ingredient is the whey protein; it helps the ice cream hold air and keeps it from turning to ice milk when freezing. It’s also gives the ice cream that texture and mouth feel of store bought, but it tastes much much better. To mix the base I add all the ingredients to my ice cream canister, except the brownie bites, and mix with my boat motor, aka submersible blender. I prefer to use instant decaf coffee, for one I’m getting old and the caffeine keeps me up at night and it dissolves in the base for a good coffee flavor. Once the base is complete, place it in the freezer and get it cranking. 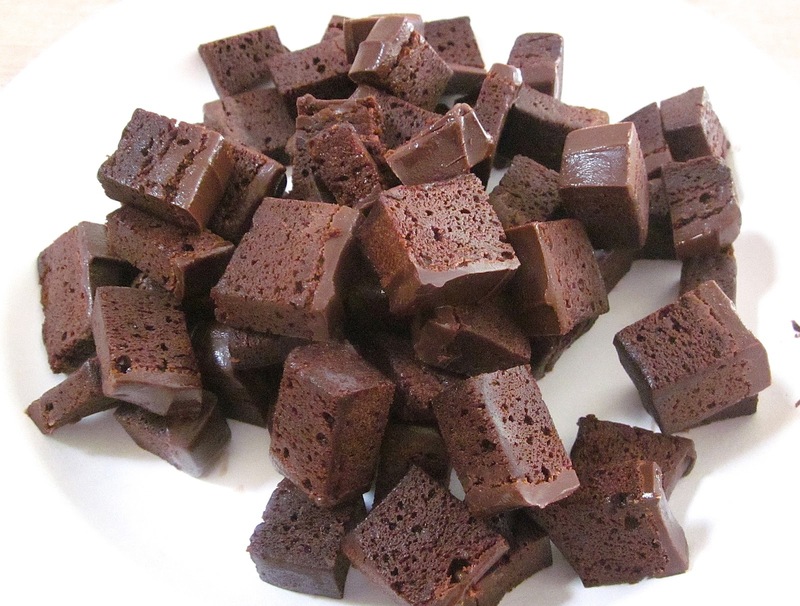 While the freezer is working it’s magic, take the brownies out of the freezer and cut into small bite size pieces. Freezing the brownie makes it easier to cut and the fudge icing stays in one piece, more or less. 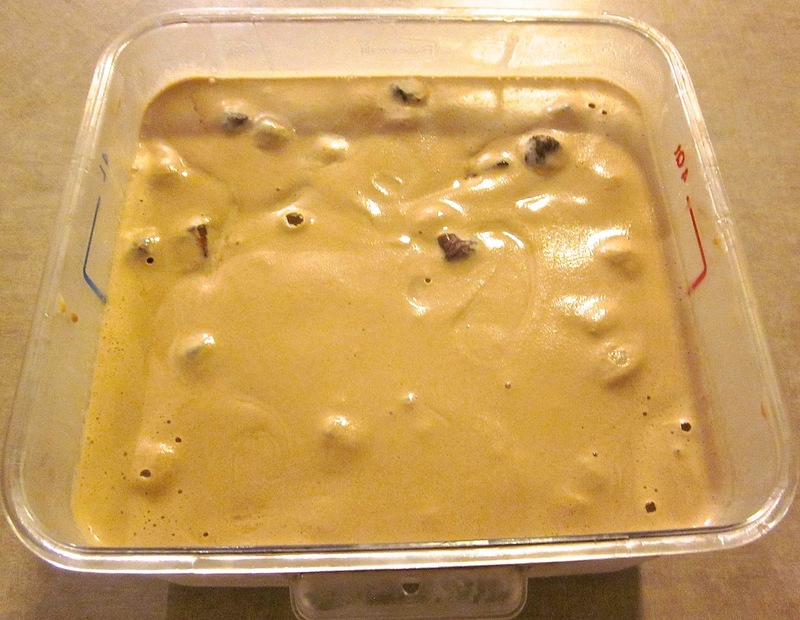 When the ice cream is done I pour it into a large 4-quart container and fold in the brownie pieces. After the brownie is mixed in, its off to the freezer for 4-5 hours to finish freezing. This is where the whey protein does it’s job and keeps it from turning into frozen milk. After the longest 4-6 hours of your life has passed, its time to eat! I like to get a big bowl and serve up at least 3 maybe 4 big scoops of this frozen confection. My first bite is always a big one that has lots of ice cream and a big chunk of brownie. The creamy coffee ice cream just envelops the chewy brownie and the icing creates delicious fudge ripple…it’s so damn good. All mixed and headed for the freezer. There’s still plenty of Summer left, so if you have a neglected ice cream freezer sitting in the corner of your garage, it’s time to break it out and beat the heat with some handcrafted ice cream. I have neglected our maker, haven't used it all summer long. 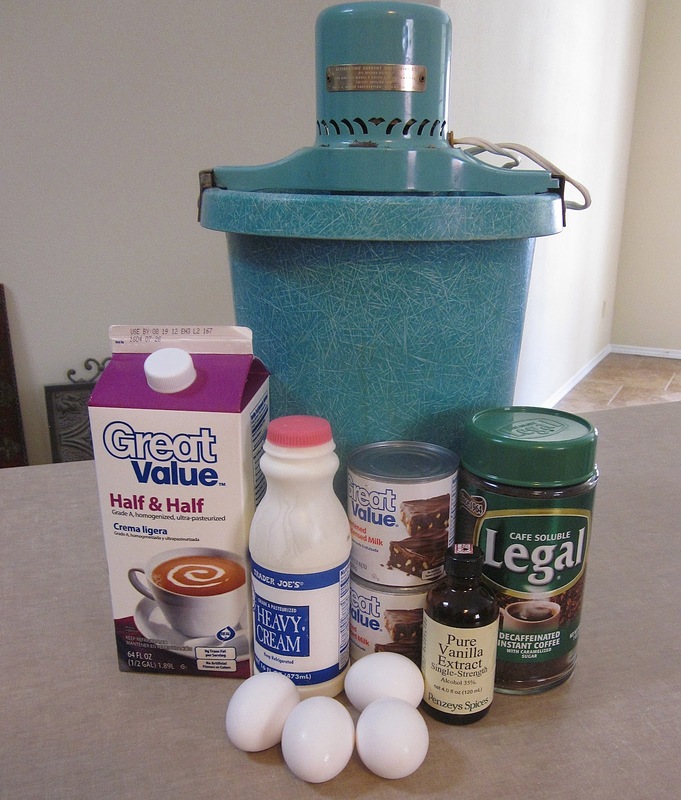 This brownie/coffee ice cream looks amazing, Kirk! There's still plenty of time to break it out and get cranking.